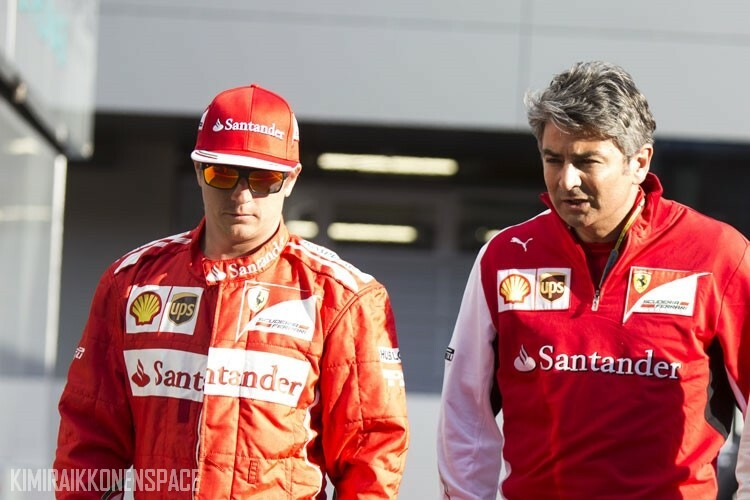 Marco Mattiacci has hit back at suggestions Ferrari could or should plan its revival for the 2015 season without Kimi Raikkonen. Lamenting the Maranello team’s slip behind Williams for third in the constructors’ chase, Fernando Alonso said at Hockenheim that Ferrari has “only been able to count on one car again and we have to improve on that”. It might be concluded that Spaniard Alonso wants a more competitive teammate for 2015, but new Ferrari boss Mattiacci has moved swiftly to end those sorts of rumours. When told by the Spanish sports daily Marca that the mid-season scorecard between Alonso and Raikkonen reads “10:0”, Mattiacci insisted: “This is not football. “In F1 we don’t speak in those terms. But that doesn’t mean Ferrari is not planning big changes for 2015, including significant improvements to the turbo V6 and the first car designed fully under the technical directorship of James Allison. “He (Allison) is working very hard on the car for next year,” a team source told the Spanish sports daily AS. Alonso is correct. One cannot dispute what he said. Kimi is having probably the worst year of his career. Eventually his luck must turn – or he will be replaced. So, you want to replace a guy because of bad luck. You must be a billionaire without a brain. Yes, I would replace him if he was not performing. This is an expensive sport, in case you forgot. Alonso never misses the chance to make some unpleasant remark about Kimi – he is very unsporting, I think. I’m still certain Kimi didn’t suddenly forget how to drive, and if James Allison can produce a car for next year that is as ‘driveable’ as the Lotus was, Kimi will show Alonso his rear wing every race year. I just wish the press and media would stop spreading rumours and making gossip – it doesn’t surprise me that Kimi has no time for them. As Alonso is Alonso in his “glory” as Kimi is Kimi in his eternal trueness. He knows, what he is doing. Unfortunately the car doesn´t act that way, how it has to do, but…as Kimi doesn´t lose the faith in better day as we cannot lose it too! Agreed! Kimi is a far more down to earth kinda guy than his arrogant and aloof team mate. But Alonso forgets that Kimi is a Ferrari world champion and he (Alonso) is not. Perhaps Alonso’s envy has turned to resentment, as it so often happens in human nature. The problem with Alonso is that he is rubbing salt into Kimi’s wounds with his comments, causing further motivational issues by running Kimi down.